This was a short created to showcase both directors love of fun and quirky work. We wanted to create something appealing and upbeat. The colouring and shading idea was something I developed and has proven to be a popular trend that many other freelance designers and studios have taken onboard and ran with. The idea was that I wanted everything to fade into the background and then to have sharp pops of colour. 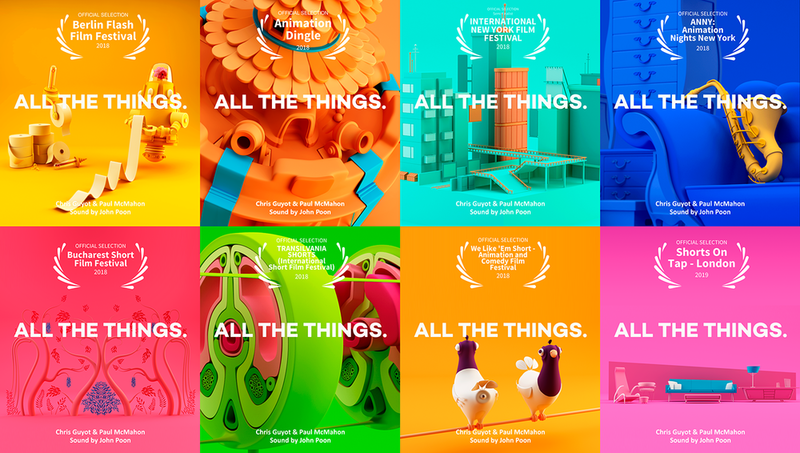 “All the Things” has featured in film festivals across the globe from New York to LA and from Dublin to Estonia. It’s earned a number of awards.